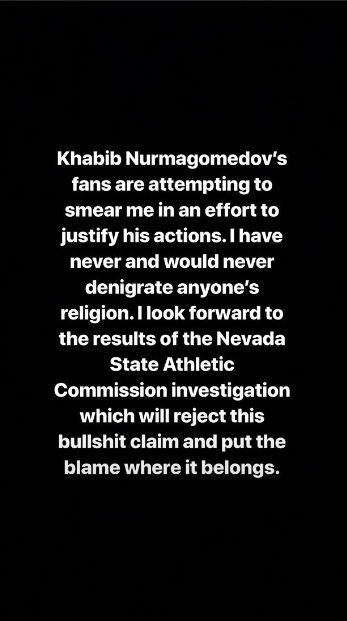 However you feel about his out-of-the-cage brawl last Saturday, you can hardly deny that Khabib Nurmagomedov backs up his words with actions. That’s probably why his latest social media post has caused a lot of chatter. In the post, Nurmagomedov questioned the UFC’s treatment of the now-infamous Conor McGregor bus incident compared to how they were treating his assault on Dillon Danis and the subsequent melee that ensued. He also expressed discontent with the organization taking his teammate, Zubaira Tukhugov, off an upcoming card for his role in the fight. Nurmagomedov said that if the UFC released Tukhugov for being a part of the fight, Nurmagomedov would break his contract with the organization and quit. The Jiu-Jitsu Times will continue to provide updates on this story as they become available. Previous articleYou May Have Trained For A Competition, But Are You Packed For One?